It’s the first day of spring, and weeks of sunny weather have melted into a few days of welcome rain in my adoptive hometown of Ukiah, California. 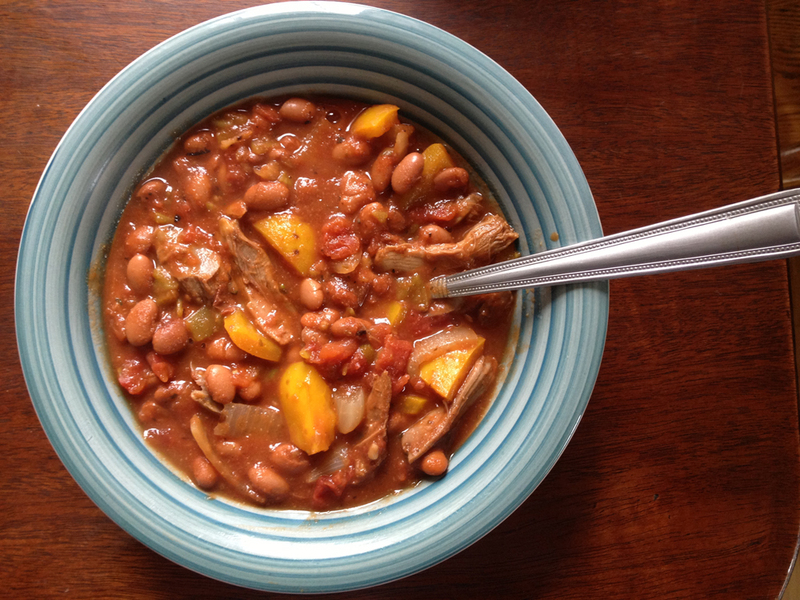 I took advantage of the last vestiges of winter weather yesterday, making a crockpot chili with the young rooster my boyfriend and roommate Carson recently slaughtered. If you’re looking for something simple and warming on a wintry day, here’s how I did it. 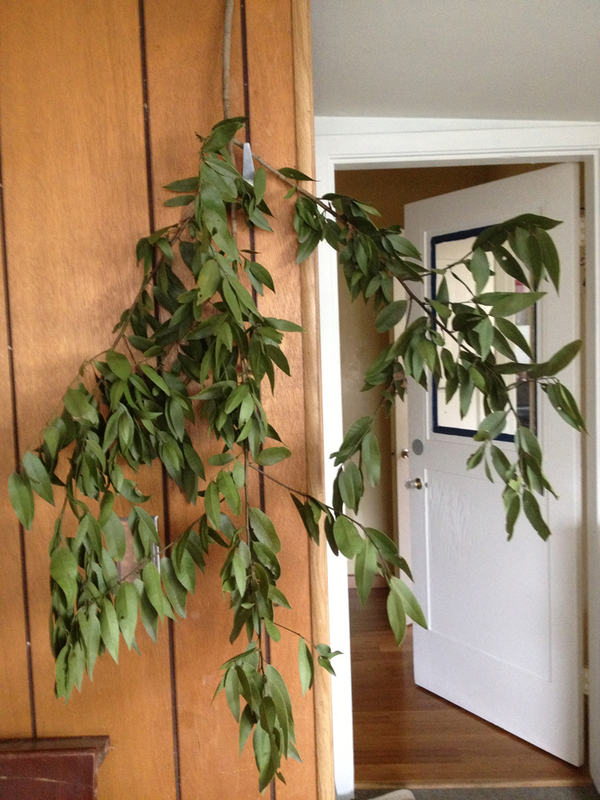 A bough of bay leaves pruned from our tree and hung up to dry. Many Mendocino residents don’t realize they have bay trees. I let this cook on high for 2 hours and then reduced it to low (if you were going to leave it all day, you could start on low). After the third hour I removed the chicken and let it cool, picking the meat off the legs and thighs and reserving the breast and wings for tonight’s dinner. (You could also start with chicken pieces and avoid this step.) I sliced and sautéed the onions and bell pepper and added them to the pot with the shredded meat for another hour. Total cook time: four hours (could be left longer). Last night I served it with avocado and tortilla chips, plus cheddar cheese and sour cream for my dairy-loving man. Today for lunch I reheated a bowl on the stove top and it’s even better than yesterday. There’s a whole jar going into the freezer in the hopes we get another wintry day this spring.